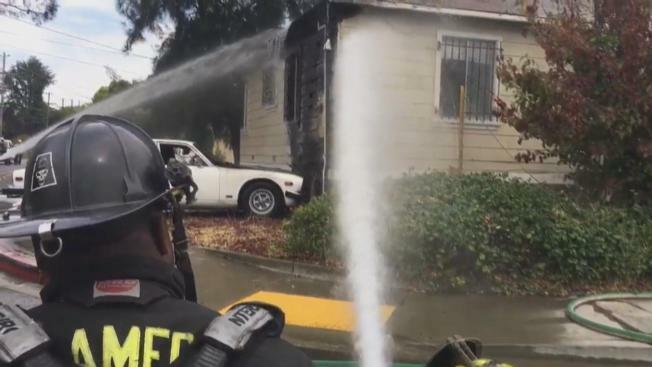 A car crashed into a home in Castro Valley on Thursday afternoon, and the driver fled the scene, according to fire officials. The crash, which occurred on Redwood Road, near Interstate 580, also sheared a gas line, the Alameda County Fire Department said. One person was inside the house at the time of the crash, but they were unhurt, fire officials said. PG&E crews were at the scene repairing the gas line. Redwood Road was closed in both directions between Vegas and Lessley avenues, fire officials said.